Home Small Group Leaders Leader's Heart-Overflow A Christian Leader’s Confession: I Love God’s Word! A Christian Leader’s Confession: I Love God’s Word! To some people that might sound weird. A little fanatical. Some may even say my love is misplaced: it’s OK to enjoy reading the Bible,but you should reserve your love for God, right? The Bible is more than just a book to read. It’s different than Tom Sawyer or Atlas Shrugged or Twilight. The Bible is more than just words on pages; it’s active and alive. It is an integral part of the relationship between us and God. And it’s more than just the way God communicates with us. The apostle John called Jesus the Word (John 1:1) the Word that became flesh and made his dwelling among us (John 1:14). In the psalms, especially Psalm 119, God’s love, salvation, and promise are intimately connected with his Word (119:41). As we come to Scripture, we must start with relationship; otherwise the reading of God’s Word can become legalistic and we will not fully understand it. Yes, I love God’s Word. It’s not drudgery to read it. I delight in it and look forward to meditating on it, so that I can hear from my Creator Father, the One who loves me so much he came to sacrifice himself for me. that I may meditate on your decrees (Psalm 119:47-48). Note the actions in these verses: the psalmist says he “reaches out” for God’s commands. This is not a passive faith, but a very active, aggressive pursuit of God. This psalm often talks about the value of meditating on God’s decrees. Note that this is far more than just reading the Bible. Meditating means we really think about and even feel what God is saying to us. It involves listening intently and patiently. When I read a passage and meditate on it, I ask God questions, such as: What does this mean? What are you saying to me? How does this relate to me? How can I live this out? What are you promising me here? What are you telling me to change? How are you encouraging me? How are you challenging me? How does this affect my relationships with you, Father, and with others? The Holy Spirit is active and moving when we take time to meditate on God’s Word. By the way, I can’t meditate on God’s Word in 5 or 15 minutes a day. This can’t be rushed any more than a relationship with your spouse or child or friend can be rushed. What is your attitude when it comes to the Bible? How does your attitude compare to the psalmist’s? Do you love God’s Word? If this is a struggle for you, stay tuned. I’ll speak to this more soon. Want to Be a Good Leader? Start Here! 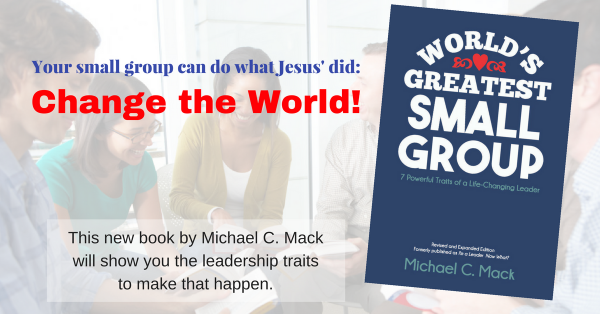 Want to Be a Great Leader? Live with Integrity! Trying Hard in the Spiritual Life: Rx for Burnout? Previous article Trying Hard in the Spiritual Life: Rx for Burnout?